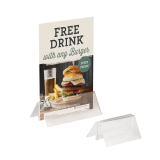 An acrylic base is a great way to display notices, graphics or menus around your business. The clear design means it will fit with any decor, branding and show card insert. 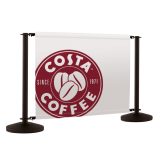 Display them on your counter tops in key areas such as your till, reception or waiting area for maximum visibility. What is the base manufactured from? 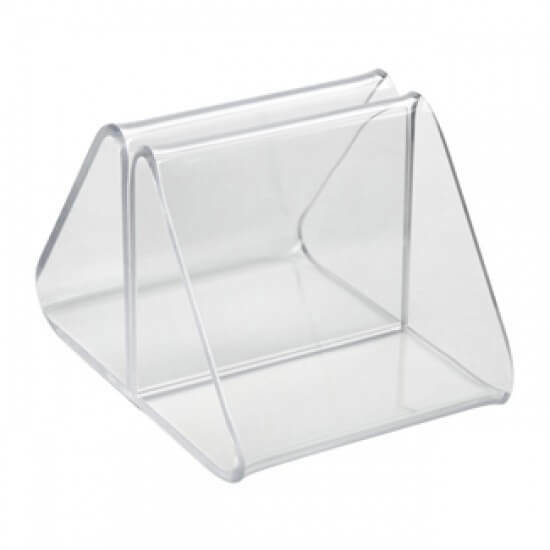 This unit has been manufactured in 2mm thick high impact crystal clear acrylic. What size paper will these hold? 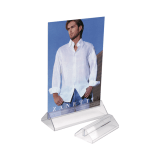 As these vary in width, there are various different different paper sizes that can be held by this menu card holder. 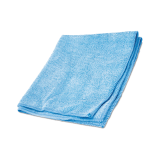 The 5cm width is suitable for A8 paper, which measures 5.2cm. The 10cm width is suitable for A6 paper, which measures 10.5cm and the 15cm width is suitable for A6 paper, which measures 14.8cm. Please note, some paper sizes may have a slight overlap. Can bespoke sizes be made? Yes, we can manufacture a base in your required specifications. Just get in touch with our team today for a quote. Excellent service and good standard product. 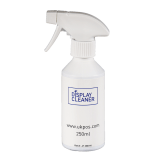 Excellent value for money, quick delivery and exactly what I was looking for.